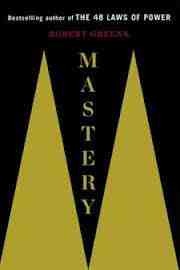 A review of Mastery by Robert Greene. Robert Greene’s 48 Laws of Power was a great read, offering endless lessons for business and personal dealings. When I saw he just published a new book, I was quick to grab a copy. What I like about his writing is that he’s replete with counterintuitive bits of wisdom, that really offer new perspectives on old topics. Many people might find the notion of an apprenticeship and skill acquisition as quaint relics of bygone eras when work meant making things. After all, we have entered the information and computer age, in which technology makes it so we can di without the kinds of menial tasks that require practice and repetition; so many things have become virtual in our lives making the craftsman model obsolete. Or so the argument goes. You might also enjoy our 3 part consulting 101 guide and our very popular DBA hiring guide. In truth, however, this idea of the nature of the times we are living in is completely incorrect, even dangerous. The era we have entered is not one in which technology will make everything easier, but rather a time of increased complexity that affects every field. In business, competition has become globalized and more intense. A business person must have a command of a much larger picture than in the past, which means more knowledge and skills. The future in science does not lie in specialization but rather in combining and cross-fertilization of knowledge in various fields. In the arts, tastes and styles are changing at an accelerated rate. An artist must be on top of this and capable of creating new forms, always remaining ahead of the curve. This often requires having more than just a specialized knowledge of that particular art form — it requires knowing other arts, even the sciences, and what is happening in the world. I couldn’t agree more. We wrote a piece a while back called Why generalists are better at scaling the web and that aligns nicely with what Greene is getting at here. He begins with insight on finding ones life task, then apprenticeship & mentoring then working through the social challenges that are always present and finally ways to stimulate the creative-active impulses. I really like that he emphasizes it as a process and one of life-long hard work. This resonates a lot for me, as that’s how I’ve found success doing independent consulting over the years. There have been a lot of ups and downs, wrong turns, and missteps, but tenacity wins out in the end. He even dispells the myth of the naturally gifted, such as Mozart or Einstein, arguing that in fact they did put in the requisite 10,000 hours of study and were not born with mastery as such. Greene’s lastest book is a pleasure to read, and full of insight for startups, programmers, designers and business people alike. I highly recommend it. Previous PostPrevious Facebook, Is Anybody Listening?